In November 2012, researchers from France shocked the world when they published a highly controversial paper claiming that there was a link between genetically modified foods and the incidence of cancer. The work by Dr Gilles-Eric Séralini and his team from the University of Caen, France showed that feeding rats Roundup-resistant maize was leading to the growth of tumours in lab rats. However, after a year of heated debate and outcry in the scientific community following the publication of the study, on 20 November the paper was retracted by Food and Chemical Toxicology, the journal which had originally published it. A blow for anti-GMO activists? Shortly after its publication, concerns were raised over the quality of the data used in the paper, outlined in various letters to the editor of the journal. These included the small sample size of each test group, inconsistent interpretation of results, and apparently contradictory results that were not addressed by the authors. Additionally, the strain of rats Dr Séralini chose to use is known to have a higher incidence of cancer, particularly in old age. The study considered the development of cancer over two years in rats, which is near the end of the rats’ natural lifespan. It has been suggested that the high incidence of cancer the study reported was due to the strain’s propensity to develop cancer late in life, rather than due to their exposure to GMOs. Unsurprisingly, Dr Séralini has condemned the decision to retract. Since its publication, the paper had been cited 28 times, and Dr. Séralini has been called to testify before the French National Assembly on the paper. Critics of the decision have called out the ostensible conflict of interest seen in the recent appointment of an ex-Monsanto employee to the post of associate editor at Food and Chemical Toxicology; Monsanto is currently the world-leader for the production of GMO foods, and it also produced the GM strain of maize used in the study. The retraction of this paper has been seen by many as a victory for many in the scientific community who support the safety of GMOs. It remains to be seen, however, whether backlash by those concerned with the reasoning behind the retraction will increase the controversy over genetically modified organisms. It’s Christmas day. Presents? Check. Phoned relatives? Check. Watch It’s a Wonderful Life? Check. The only thing left is the Christmas dinner; the turkey, the parsnips, the potatoes…and the Brussels sprouts. You’re not a fan but you’ve always eaten them out of politeness, concealing your looks of disgust behind a glass of wine, but not this year. Starting a New Year’s Resolution early, you’ve sworn that no more Brussels sprouts will touch your lips. But how do you get out of this time-hallowed culinary tradition? The answer: Science. For you see, Brussel Sprouts contain large amounts of a chemical similar to PTC (phenylthiocarbamide) and we humans have receptors in our taste buds that detect PTC. It’s encoded by the TAS2R38 gene and translates the presence of PTC into a bitter taste sensation. 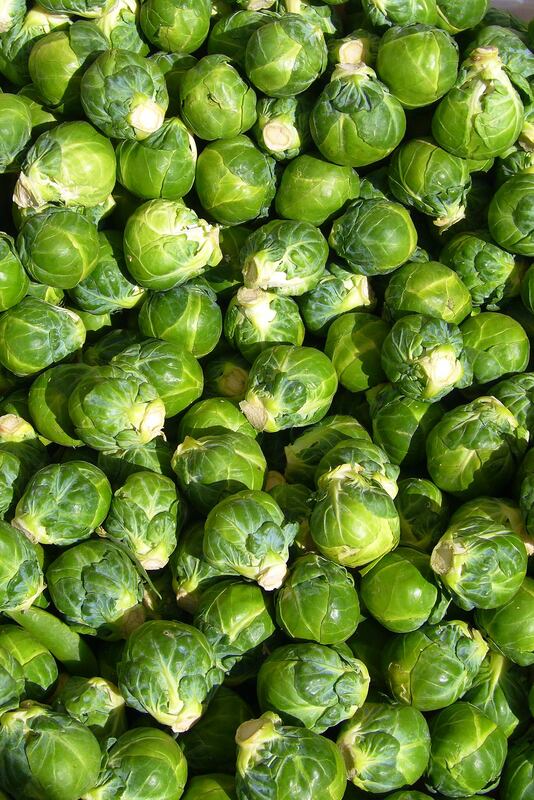 The best news for sprout haters? It is predicted that up to 70% of the population carries this gene. Now providing no-one in your family has a DNA-testing kit, this alone should guarantee you a sprout-free Christmas. Huzzah! Most people know that when you meet someone under the mistletoe at Christmas time you have to give them a kiss, but like many evergreen plants it had a role in winter solstice customs before being incorporated into Christmas celebrations. In fact, it is often banned from Church decorations due to being considered a pagan plant, probably because it is believed to have been highly valued by the druids. In Norse mythology the god Baldr was killed using a weapon made of mistletoe, it being the only thing his mother couldn’t get to swear never to harm him. In Greek myth Aeneas has to pick the golden bough in order to visit the underworld, it is speculated that the golden bough is mistletoe due to the fact it appears golden in winter. However, the main role of mistletoe in British folklore is as a fertility symbol. In addition to being used as something to kiss under, mistletoe has been used also as a treatment for infertility and as a charm for women to help them find husbands. And if that is not enough, it has also been used as a symbol of peace and good luck. What’s so jolly about holly? It’s that time of year again, when those shiny green leaves and red berries start appearing all around. Holly is a fixture of Christmas time, but despite being so familiar, it can still manage to surprise. 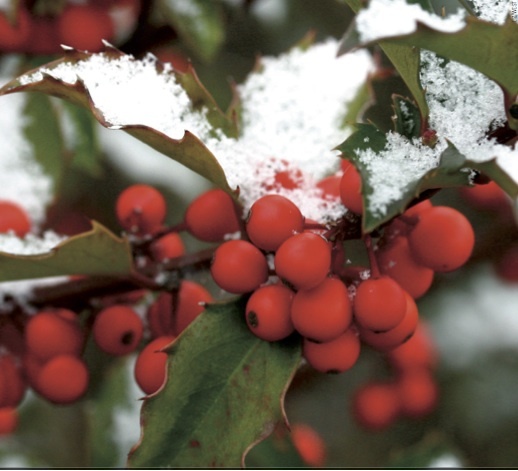 Holly is a completely dioecious species, which means that holly plants are either male or female. This is very different to most plants, which either have bisexual flowers or a combination of male and female flowers on the same plant. This state of affairs may be the most common to us animals, but considering plants are immobile, this could be very inconvenient indeed! After all, how are the male plants supposed to reach the female plants? Luckily for holly, and our Christmas wreaths, honeybees are particularly good pollinators. As long as there is one male plant in the vicinity, up to 20 female plants can be pollinated from that single plant. Pretty impressive! Never let it be said that bees don’t work for their keep—they might be the ultimate wingmen. We all get a bit chilly around Christmas, but unfortunately the plants amongst us don’t have the luxury of being able to up-root, put on a jumper and snuggle up by the fireside. So are plants condemned to wither and perish, rooted in the cold, freezing their (metaphorical) socks off under a covering of snow? The answer is unequivocally no. Some plants are able to engage in a process called thermogenesis, by which a vast amount of heat gets produced through metabolic processes such as respiration. Using an alternative pathway, the majority of the energy released by respiration gets emitted as heat, as opposed to being converted to chemical energy. Being warm has its benefits. In areas that see snowfall during the winter, the process of thermogenesis (which can raise the plant’s temperature by up to 30C!) 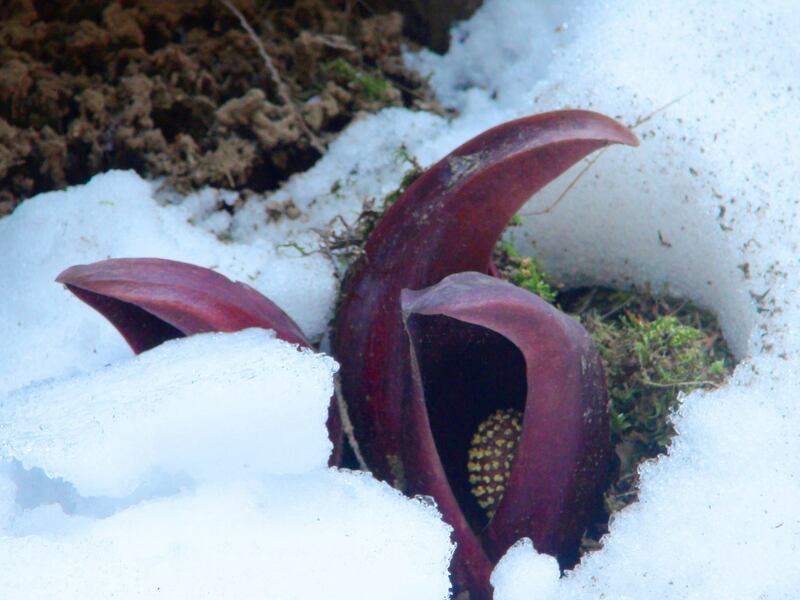 helps to melt the snow covering the plant. This allows the plant to start photosynthesizing earlier than its competitors and, in the case of seedlings, germinate and sprout earlier than other plants — giving them a competitive advantage!